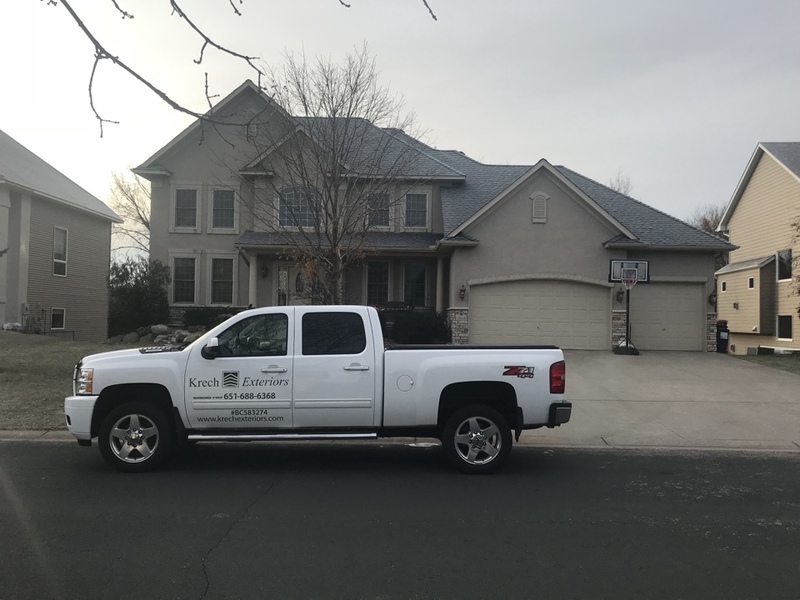 If you live in Blaine MN, you can rely on Krech Exteriors to perform high-quality installations on roofing, siding and replacement windows for the best value, energy efficiency and curb appeal. 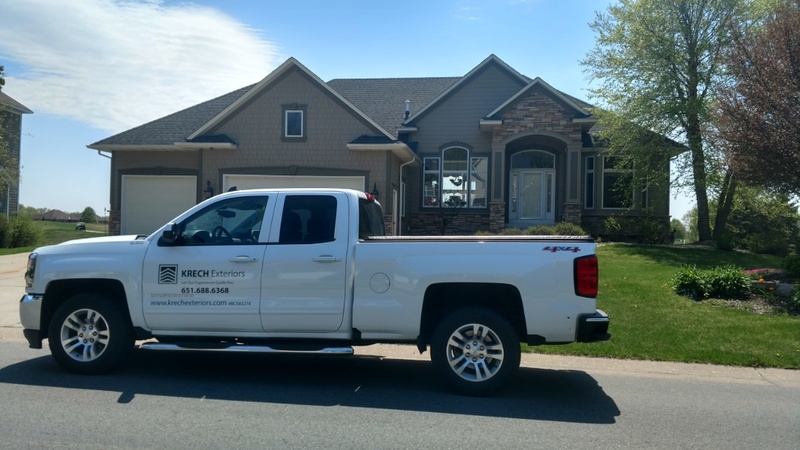 No job is too big or small here at Krech Exteriors, in business since 1988. 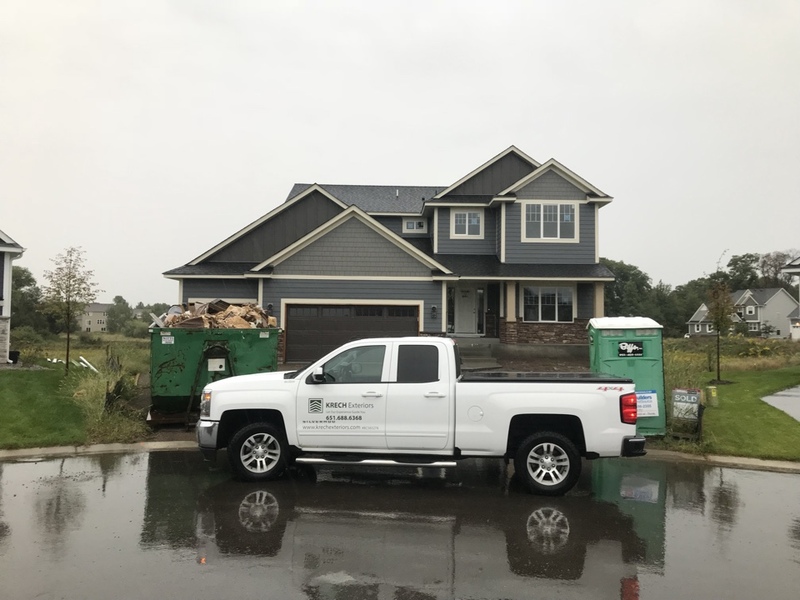 We are proud of our three decades serving homeowners throughout Minnesota with the best materials in regards to storm damage repair, roofing, siding and replacement windows in Blaine. 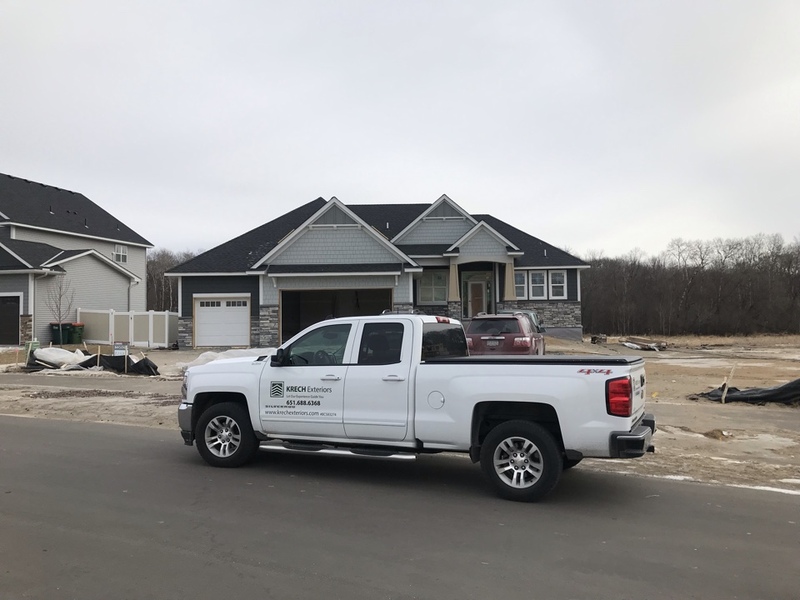 Our factory trained and certified contractors bring a high level of professionalism to every job, proud to be your local one-stop-shop for exterior home improvement in Blaine MN in Anoka County. Home to 57,000, your community is part of the bustling Minneapolis/Saint Paul metro area. You take great pride in your neighborhood, and we want to help you to continue doing that. Customer service is important to us, which is why we have earned an A+ rating on the BBB. All of our customers get the star treatment here at Krech, starting with the first phone call and consultation, moving through design, project planning, installation, and clean-up. We do our part to communicate with the client to answer all questions and respond quickly to requests. We stand behind our work, featuring industry-leading product warranties along with our own guarantee of workmanship quality. We only work with proven brand name products and materials with manufacturers like GAF, CertainTeed, Alside, Andersen and James Hardie. 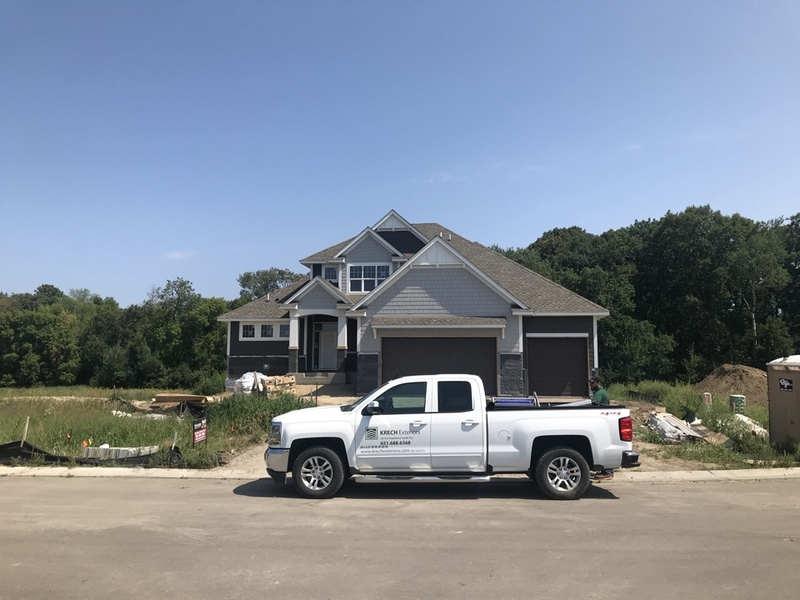 Our own screened contractors work on your install from start to finish, as they are trained on a regular basis in the latest techniques, construction materials and methods for a result that’s long-lasting, beautiful and durable. 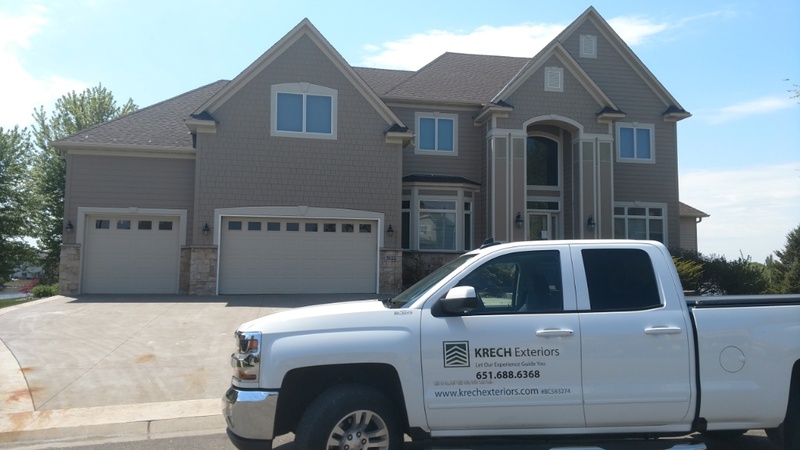 Kick off your project with a free estimate and in-home consultation from Krech Exteriors today. Give us a call today at 651-688-6368 or fill out our convenient online “Request a Quote” form. Vinyl lap siding with vinyl lineal window trim completed on back and side elevations of home. From elevation complete with James Hardie lap siding, trim around all windows, doors, and in the gables for a frieze board. Hardie straight shakes installed on front gables, with Board and Batten in the bump out areas. Aluminum soffit and fascia. Mastic vinyl siding on back and side elevations. 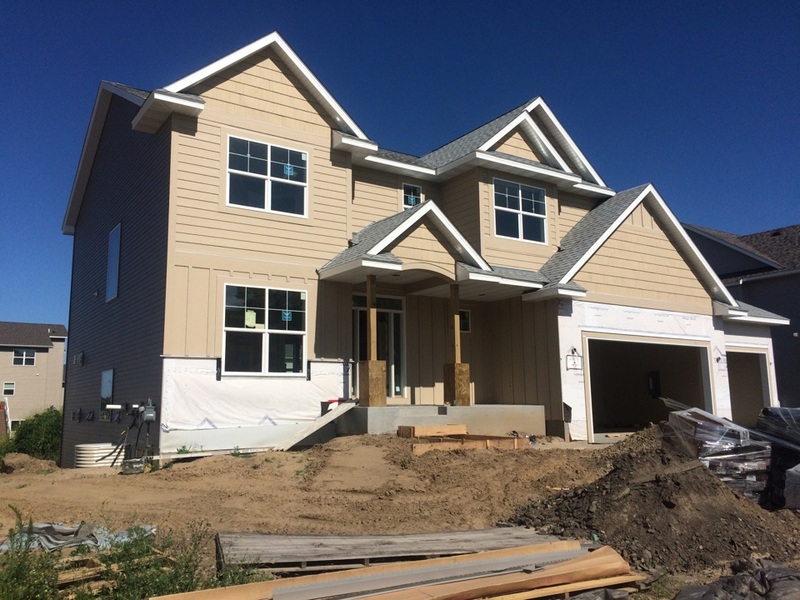 Front elevation with James Hardie lap siding, straight shakes, and board and batten. Hardie trim around front elevation windows and doors, as well as in the front gables with the shakes. Aluminum soffit and fascia. New construction vinyl mastic lap siding on back and side elevations. 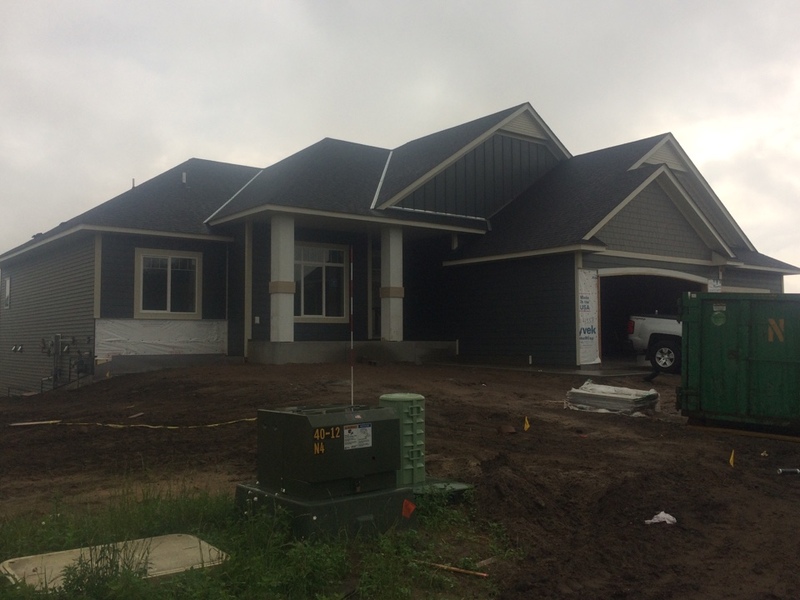 Front elevation James Hardie lap siding with straight shakes. Hardie 6” trim on front elevation windows, doors, and frieze boards in front gables. Aluminum soffit and fascia. Mastic vinyl lap siding on side and back elevations. 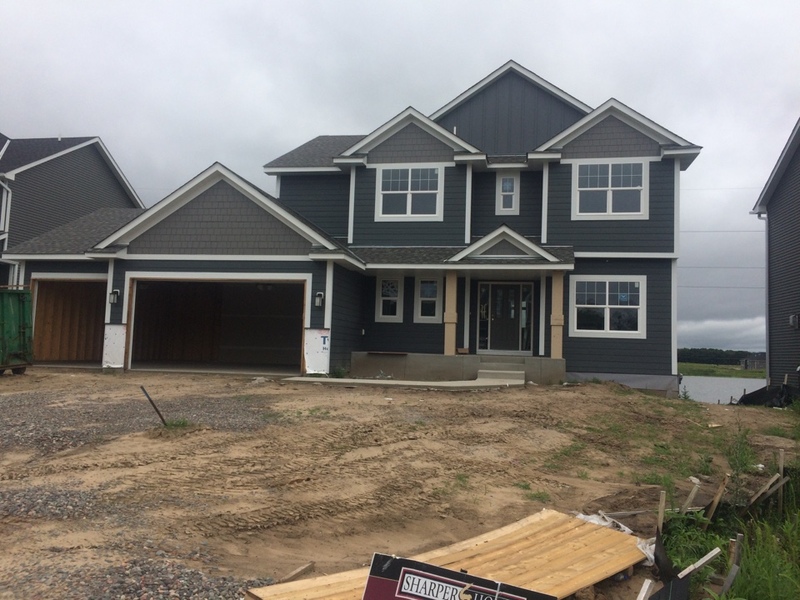 James Hardie lap siding on front elevation with JH shakes in the front gables. 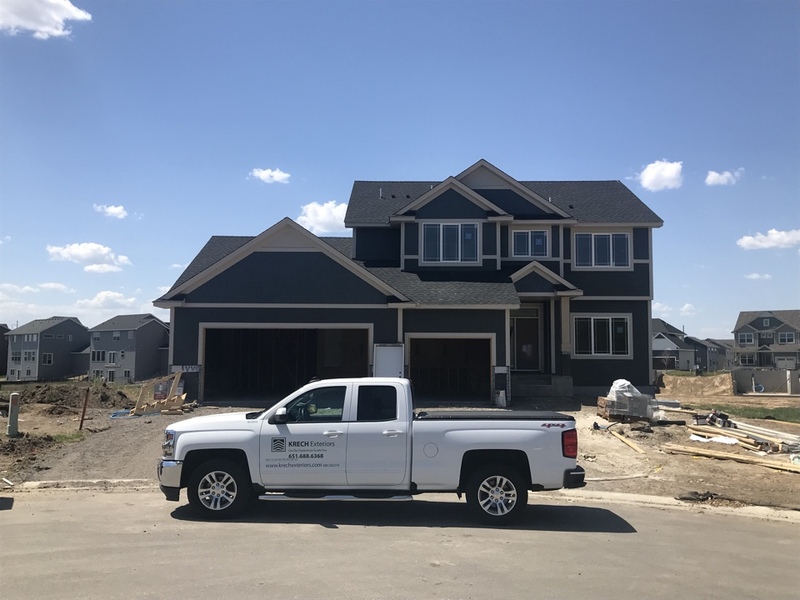 James Hardie trim around the windows and doors on the front elevation with both ban boards and freeze boards in the front gables. Custom bent fascia with aluminum soffit. 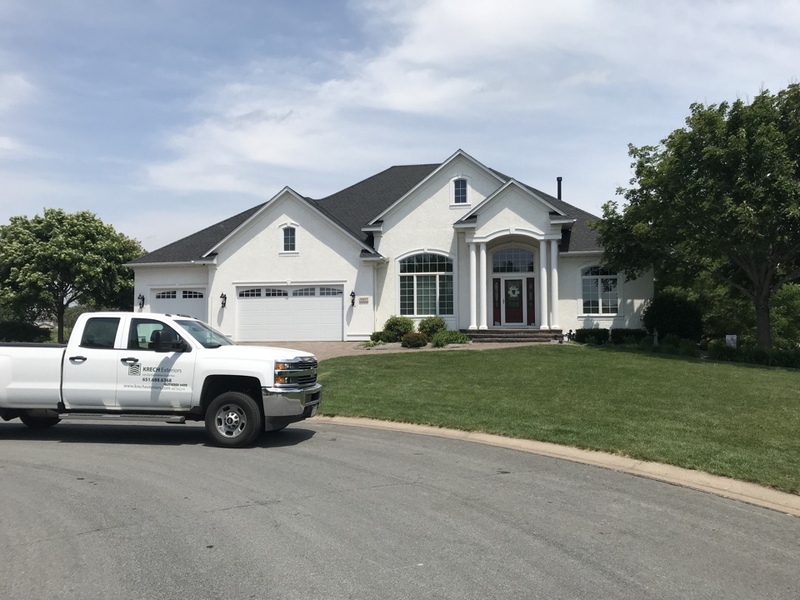 Another nice exterior project done by Krech Exteriors. Removed stucco on front of house. Replaced? 3 windows with new Andersen windows. 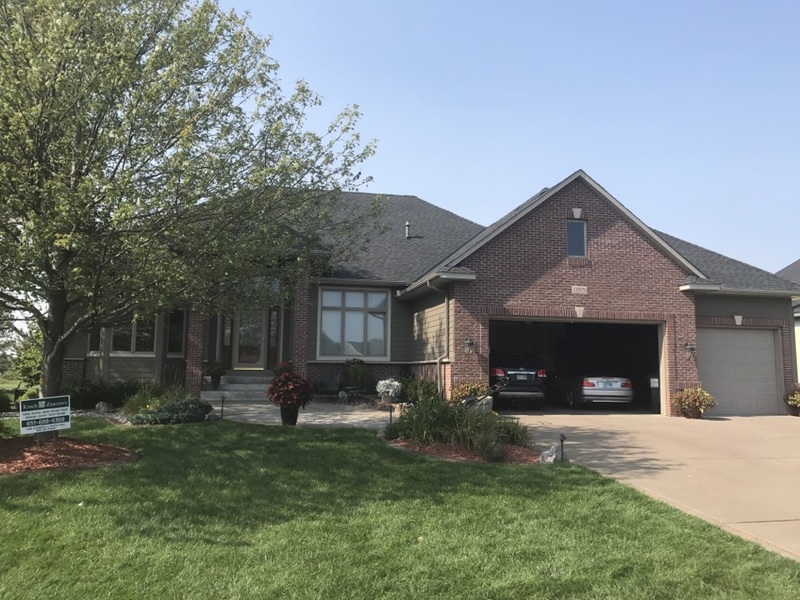 Installed new James Hardie lap and shake siding, "Khaki Brown" Installed new trim around windows, "Cobblestone" Install some new stone on front. Another James Hardie siding done by Krech Exteriors. Removed stucco, pulled out windows, pan flashed openings and reinstalled them. Replace some windows with new Marvin windows. Installed new James Hardie lap and shake siding,"Khaki Brown" installed new James Hardie trim, "Timberbark" Installed new stone on front of house.